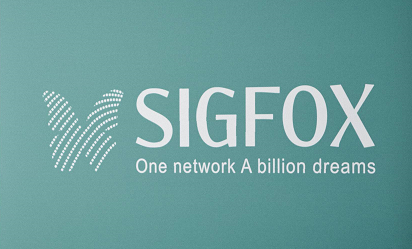 A French startup called SIGFOX has developed a wireless network dedicated solely to connecting devices to internet. These devices could be smoke detectors, parking sensors, heart monitoring implants, automobiles with built-in sensors, dog roaming trackers, utility smart meters, security cameras, GPS trackers etc. The number of these connected objects is increasing exponentially and some analysts predict that by 2020 there will be 50 billion of them worldwide. The connection of these devices is also called, internet of things (IoT) or machine to machine internet (M2M). This kind of internet is different from the human-to-human one. The difference is that the IoT has a low throughput i.e. a low rate of message delivery. A GPS tracker in a vehicle, for example, may be required to send its location data only once a day. Therefore to host these devices on existing cellular networks would be inefficient and expensive as they do not require speedy delivery and lots of bandwidth. The SIGFOX solution is an alternative network using ultra-narrowband with frequencies of around 900 MHz. These frequencies are the ones used for cordless phones or baby monitors. This reduces the number of transmitters required compared to cellular networks and allows battery powered devices to run for as long as 20 years because energy demands and data usage are low. The network can therefore be run very efficiently which means that SIGFOX can maintain a device connection for as little as a dollar a year. SIGFOX has covered the whole of France for a few million euros, with only 1000 transmission sites and believes it could do the same for the US with 10000 transmitters. It has also already covered Spain, the Netherlands as well as parts of Russia and expanding into the UK. SIGFOX is now setting its sights on the Silicon Valley, more precisely the San Francisco Bay Area itself, where there is a lot of interest in the Internet of things. This network should be completed by the end of September 2014. The Toulouse-based startup is backed financially by Intel Ventures from the US as well as other investors including the French state-supported BPI. This should ensure its position as a technological world network leader for the internet of things.